I know I talk about loving a lot of different cuisines, but Indian food is definitely very high up on my list of favorites. I like Tamarind in the Flatiron, and I am obsessed with Seva in Astoria (their lunch buffet is $10!!) The other night I had a craving for Indian food so badly that we trekked up to Astoria from downtown to pick up some dinner. I was satisfied, but my Indian craving still didn't go away. 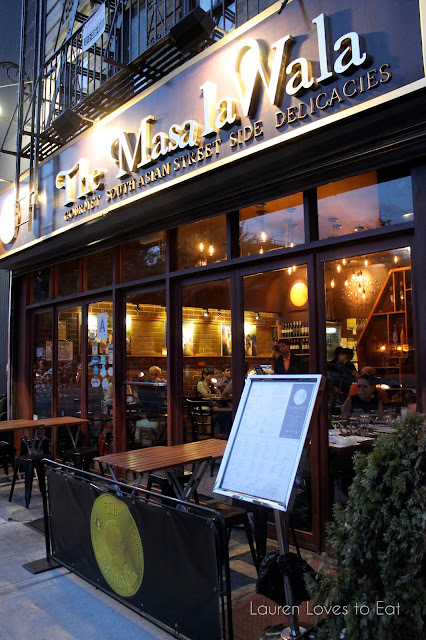 When I then got invited to a press dinner at The MasalaWala, I was excited to say the least. I'm happy to report that the experience was a dream come true. The food here is unbelievable. Every single dish pretty much took my breath away (I mean that both literally and figuratively. Some of the spicy dishes are seriously spicy). 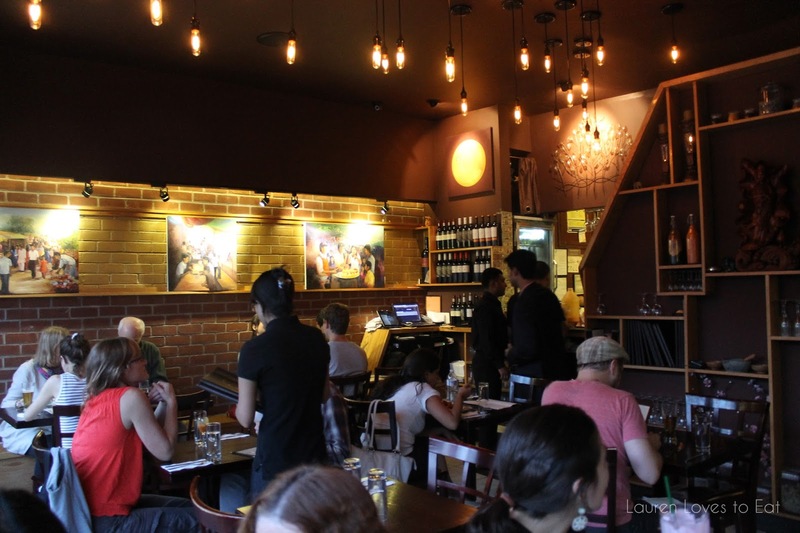 Not too large or small, there is a great ambiance here, with exposed brick walls, cool hanging mini bulbs, and very friendly service. The restaurant is family run, and the father and son were so nice and welcoming. We started off with glasses of mango lassi. Beautifully thick and sweet, the fresh mangoes were evident. 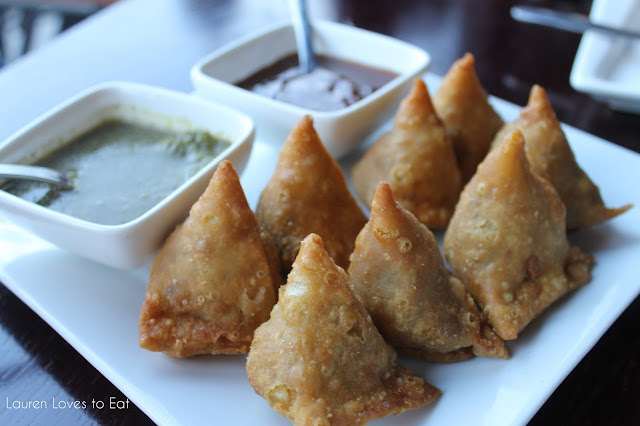 Mumbai Samosa: Handcrafted crispy turnovers stuffed with spiced potatoes and peas. I love vegetable samosas, and am so glad we were served these sans meat. I really enjoyed the crispiness of the pastry, and appreciated that it wasn't too thick. There are so many samosas I've had that have way too much dough. You need to be able to focus on the goodness inside! 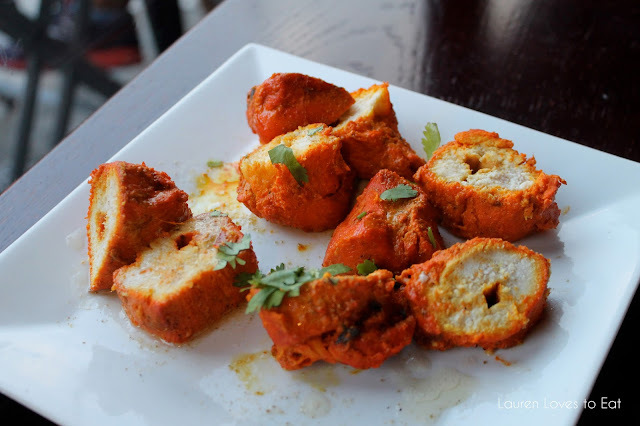 Chicken Tikka: Tandoor-grilled cubed chicken marinated in authentic red tandoori marinade. OMG I've found the most tender chicken tikka in my life. I was positive this would be my favorite dish of the night. The owner explained as this was set down in front of us that it was not Chinese sweet and sour pork. It really does look like it though! This beautiful dish is Kolkata Gobi Manchurian: Cauliflower florets tossed in ginger, garlic and Indian-Chinese fusion spices. This was incredible. The flavors were extraordinary, with a great slightly sticky sauce, a hint of spice, and perfectly cooked cauliflower easy to bite in to. Then I thought this would be my favorite dish. We sampled a great variety of curries, but this was my favorite. 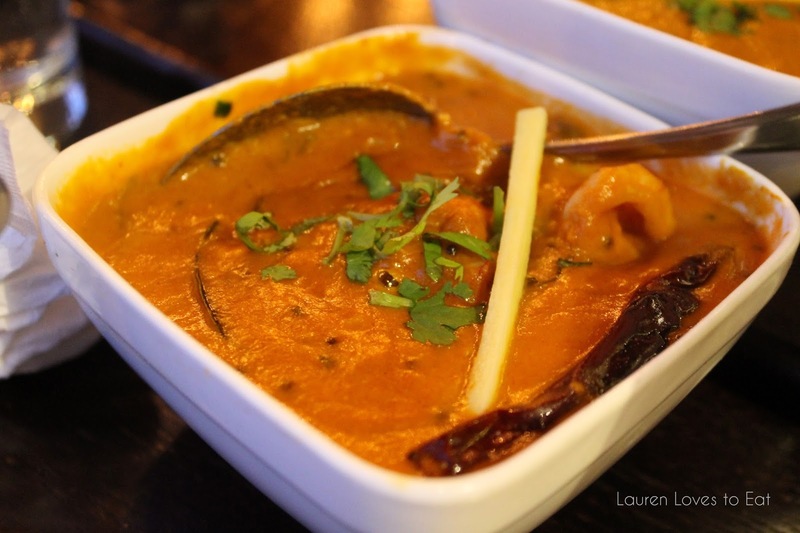 Shrimp Konkani Curry: South-Indian curry with red cayenne pepper, coconut milk, coriander. So tasty, this had just the right amount of heat, and the shrimp was nice and tender. The garlic naan here... where do I even start. It is so wonderfully buttery and soft, it was easy to pull apart and dip into curry, or inhale on its own. This dining experience was so memorable, this restaurant has joined my list of favorites in NYC. 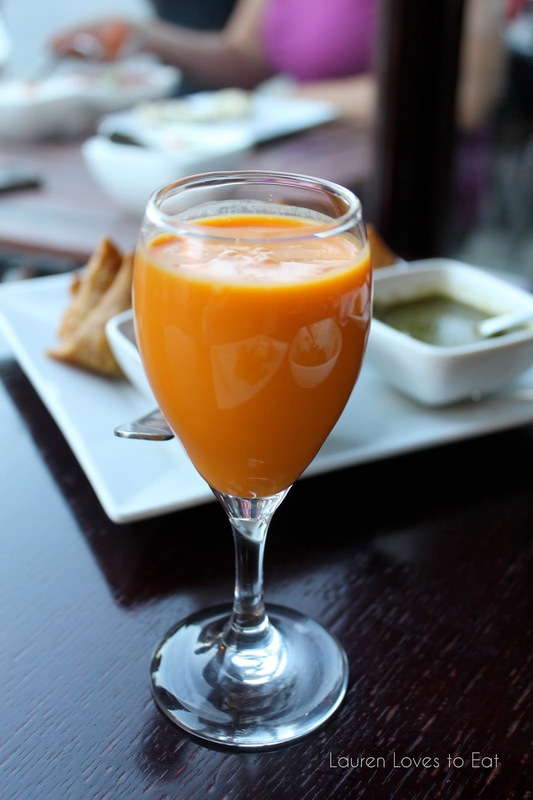 Even if you're not crazy about Indian food, go here. 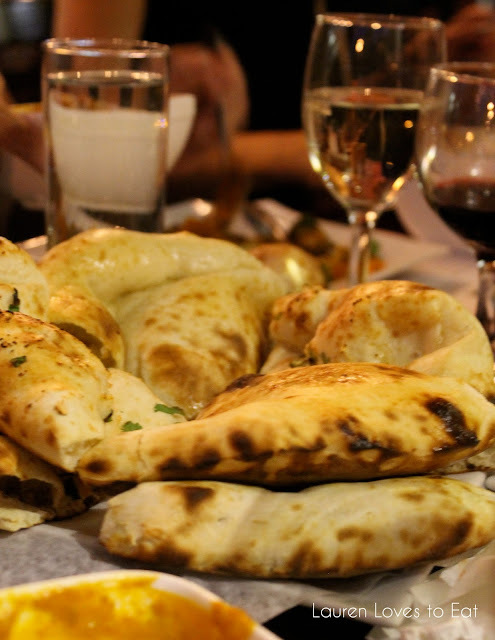 Appetizers range from $5 to $10, and entrees between $12 to $18. Great post Lauren. The food was incredible, agreed. We have similar taste. Your pictures are gorgeous, I don't know if it's your or the camera. So nice to see you again!